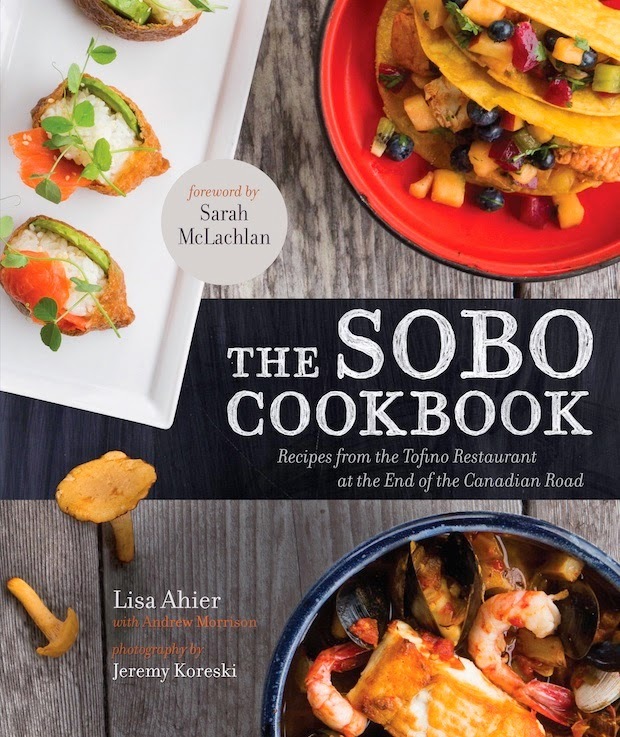 From the award-winning restaurant, SoBo, comes a cookbook that celebrates the best in West Coast cuisine, and showcases the beauty of the remote, magnetic town of Tofino, British Columbia. Lynn Crawford (chef/owner of Ruby Watchco) calls SoBo one of her favourite places to visit and cook. Vikram Vij (author and chef) calls the book an inspiration. SOBO started out in 2003 as a purple food truck in the parking lot behind a surf shop, way before food trucks were cool. Despite its remoteness, it attracted rave reviews from media across Canada and the U.S., with Saveur magazine calling it "perhaps the most exciting lunch in North America". SOBO, now a destination restaurant on the west coast of Vancouver Island, focuses on locally sourced, seasonally inspired ingredients from family-owned producers. Those producers are profiled throughout the book, as is the town of Tofino itself, to give a true sense of how it takes a village to create a restaurant success like SoBo. Try the SoBo Biscuits or my favourite Killer Fish Tacos features in the picture above. And, if Dad is in the mood for a thirst-quenching alcoholic beverage, with a hint of tequila, try the SoBo Margarita. Along with the recipes, the book features beautiful photography of the area bringing you one step closer to this magical, unspoiled part of the world, and to the warmth of the restaurant at the end of the Canadian road. The SoBo CookBook is published by Appetite By Random House, a division of Random House of Canada, a Penguin Random House Company.